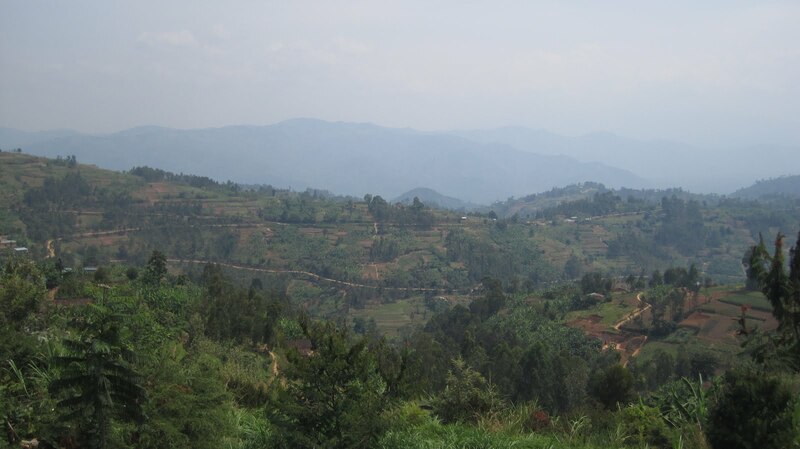 Spark MicroGrants Blog: "Let us Women be Developed"
"Let us Women be Developed"
This past Tuesday Spark visited a new women's association, Duhuguke Bagore, settled in the rolling hills of Rwanda's Northern Province. With only 13 members, this association is small in numbers but certainly not lacking in spirit. Most of these women are widows who support 5 to 9 people in their households. Challenges they face range from health issues, HIV, Malaria, to general poverty and food insecurity. They have formed an association in hopes of purchasing health insurance, obtaining farm animals and keeping their children in school. So far, the association has created a group savings account that is used to buy animals for those who are most in need in the group, but as the price of health insurance has tippled this year Duhuguke Bagore may shift its focus from animals to health care. As a member of the association, said “The first thing is this world is to have a good and healthy life.” These women also have dreams of putting their children through secondary school, but this hope is checked by many charges and fees that place high school level education just out of reach for their dependents. One member, Philomen, stated “We don't want to stay underdeveloped, we have started but we need assistance.” This is an inspiring group that is ready to work hard and create change in their lives. They have the smarts and drive but lack resources to counter the challenges they face.